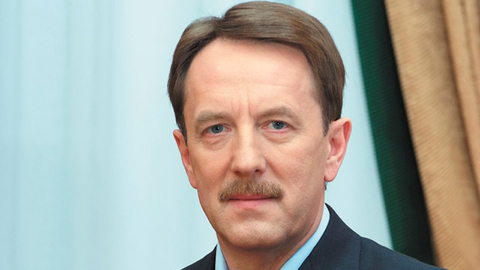 Vice-Premier Gordeyev proposes to create a national project for the development of the village. Deputy Prime Minister Alexei Gordeyev offers to create in addition to the existing 12 another national project — "Development of rural areas", writes in Thursday newspaper "Kommersant". According to the newspaper, Gordeev on 3 August addressed an initiative to the Russian President Vladimir Putin. Question assigned to work on the government and the presidential aide Andrei Belousov. It is noted that Gordeev leads a fairly standard justification for the selection of the topic of rural territories as a separate project through the addition of the may presidential decree. In the villages "concentrated powerful production, natural, demographic and cultural potential" rural areas "ensure the territorial integrity" of Russia. In this case, the village is almost twice the level of unemployment, negative migration growth, not landscaped housing. The outflow of rural population to urban agglomeration is, according to Gordeev, "sinking" the development of the "vast territories of the Russian Federation". The purpose of creating a national project — "integrated approach" to rural development. It is noted that the date of the Deputy Prime Minister to the President on this issue is significant: a 3 August main meeting specified in the may decree of national projects and infrastructure program has already taken place. The publication expresses doubt that Gordeyev will be able quickly to implement its suggestions. In most projects the development of rural areas pays a lot of attention, up to the individual Federal programs, the newspaper said. Especially significant expenditures in the national project on health, culture and digitalization. In 2019 the creation of a separate project, apparently, is very difficult, due to the fact that the basic parameters of the budget. The newspaper notes the lack of "agricultural" national project in the may decree 2018, and that the basis of national projects 2018 is the CSR program, created with the participation of the government. One of its ideologies is the use of the urbanization process and support the growth of agglomerations to enhance the potential productivity and GDP growth. However, the idea itself is a rural project is unlikely to meet public resistance, the newspaper writes. Vice-rector of the Ranepa Andrew Margolin believes that the format and mechanisms for the development of rural areas can be discussed. It may be a national project, and the expansion of government programs, and the analogue of the industrial development Fund for agriculture and regional clusters for the development of rural areas.